International Link Tours Company service is a private company. It is not associated with any United States government offices or any Embassy. It is not responsible for granting or denying documents. The International Link Tours Company provides services for the travelers. It acts as an agent for the travelers and makes arrangements which are provided by third parties (airlines, hotels, bus or etc). Our website and material displays information about travel locations, airfares, flight time, dates, tours, packages, schedule and many other things. The details of prices, packages, tours and flight and all other information which is displayed on the website are subject to change without any notice. Visitors don't have any permission to copy, distribute or sell anything from the website. While you may download, display or print 1 copy of any of the portion of the website content. Booking is not confirmed with your enrollment is accepted by International Link Tours company at its discretion. 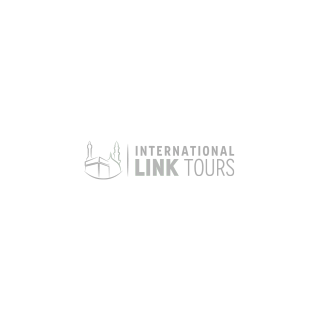 The deposit is received by the International Link Tours Company and you receive your written confirmation of your booking from International Link Tours Company. The International Link Tours Company is not responsible for traveler missing any part of the program, and in such cases, traveler are responsible for further expenses to rejoin the tour. The website contains all the information regarding travel information, availability of travel goods and services, making reservations without any terms and conditions. The consular section of Royal Embassy of Saudi Arabia has announced hajj for 2016, individuals who have performed within last 5 years will not be eligible for a hajj visa. The International Link Tours company is not responsible to deny your viva if you fail to meet the consular requirements. Unless, we provide terms and conditions, or specific applicable law requires International Link Tours Company to allow doing so, you may not do any of the following written consent of the website. Use the website to make reservations and bookings. Don't use it to make any false or any speculative reservation in demand.